If and when you want to have roof work done, you’re going to need to hire a roofing company. Not all roofing companies are equal. Some are professional and legit, while others are “fly by night” and will scam you out of your hard earned money. 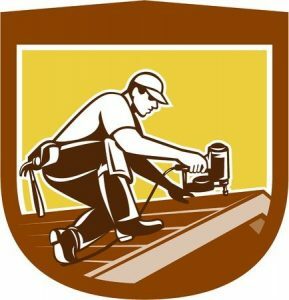 What, then, are some tips for selecting a roofing company? According to the BBB (Better Business Bureau) a legit roofing company should be able to show you several things, including their business license, local references, as well as evidence that they have both general liability and workers comp insurance. Furthermore, they should show you written manufacturer warranties and offer you their credentials. When looking for a roofing company, you’ll want to work with licensed and insured contractors. Don’t be afraid to ask to see written testimonials of their past work, and, if available, phone numbers or emails of past clients so you can check with them and get their opinions. You can also check with the Better Business Bureau as well as online review sites to see about their overall reputation in the community. Rather than rely on oral promises, get everything in writing so there’s a paper trail should something come into question– or if something goes wrong. A lot of times people go with the cheapest offer from one company (after checking with a couple of them) but remember this: you get what you pay for. Before “the job” begins, get a copy of the final, signed contract so you have it in your possession. If a contractor asks you to pay for the whole thing first, before any work is done, steer clear of that; it’s better to pay a one-third deposit initially, and then pay in full after the work is completed and to your satisfaction. Avoid paying in cash. As for roofing repairs, ask someone you trust to look over the repair contract before you sign on the dotted line. It’s always a smart idea to have a second set of eyes look over contracts. You’re welcome to ask around and see what people say about Pennsylvania’s Roofing by Bruce. And, if you have any questions, feel free to call the office at 570-424-8891.